Emily Fox, the self-proclaimed “Britain’s loneliest woman” hasn’t made a new friend in a decade. The mother of three recounted her story online, detailing her visits to supermarkets just to interact with other people her age. Though she has children, she claims she isn’t able to connect with them on a level that eases her loneliness. And she isn’t the only one. Countless adults struggle to make and maintain friendships. Many feel lonely as their friends move away after high school and college. This can be even more challenging if you’re one of the 650 million people worldwide who cope with having a disability. When it comes to engaging in certain activities, sometimes you’re literally unable. 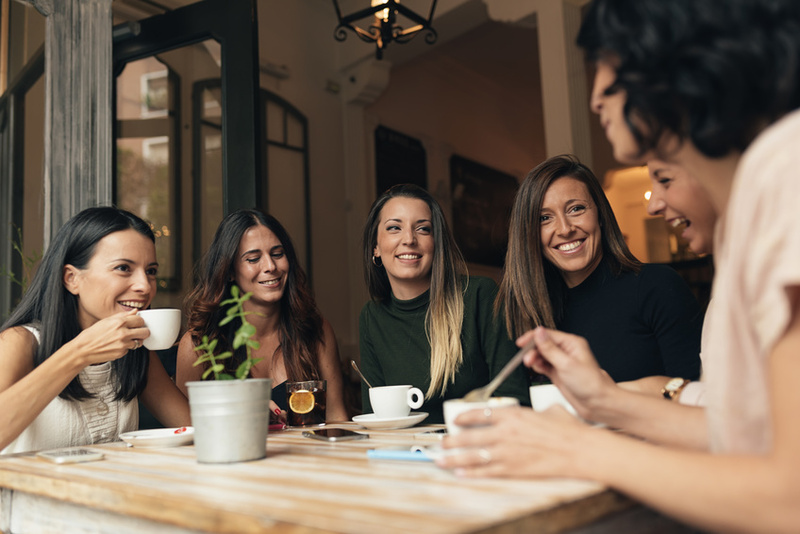 Making new friends in adulthood can seem impossible — between raising children, maintaining romantic relationships, and the threat of social anxiety, it can be hard to find any time during the day for social outings. “As we transition out of emerging adulthood (ages 18-25), we’re no longer surrounded by a group of same-age peers who happen to be in a similar life stage and with whom we have things in common,” says therapist Miriam Kirmayer. Friendships are necessary for our mental and emotional health. When you don’t have someone to rely on, loneliness can become a catalyst for increased levels of stress, anxiety, and even depression. But how do we find new friends? Through the office? Through friendship apps that work like dating apps? More importantly: how do we make friends when we find potential candidates? Here are some of the ways you can make friends in the office and beyond. It can be hard to make friends on the job when you have countless meetings to attend. While you might get along with your coworkers throughout the workday, it’s unlikely that you’re going to form a lasting bond with someone unless you connect to them on a deeper level. Even if you attend all your work events, scheduling a happy hour out of the office is a great way to break the ice and talk about things other than work. It’s estimated that the average American will go to a restaurant around 4.5 times each week, making this an option that fits with most people’s budget as long as you send them enough notice. Be sure to pick an affordable location with ample room for larger groups. If you’re worried about overcrowding a destination, be sure to call in advance to let them know you have a larger group coming. Keep in mind that going to a place that serves alcohol might result in a little more drinking than expected. As the organizer of the event, you should ask a couple people to stay sober in the event someone needs a ride home. After all, driving with a blood alcohol content of .08% or higher is illegal in the state of Oregon. You’ve tried dating apps, so what makes finding a new friend any different? Sometimes, you might not get along with your coworkers, at least not on a friendship level. But connecting with people outside of work is a lot more time and effort than one might have time for. Just like online dating, friendship finder apps work to connect you with people or even whole groups in your area. But many are hesitant to give it a shot. The creator of the friendship app for women, Hey! VINA, is all too familiar with the idea that an app can’t lead to real connections. In fact, she hears from thousands of women each day explaining why they struggle with using the app. But it’s never too late to find new friends and discovering a new friend doesn’t have the weightiness that’s associated with finding a potential partner. Dating apps struggle because one partner expects their date to check all their boxes for a perfect mate. Friendship, however, doesn’t come with as many expectations. This seems like the most basic advice of all, but it’s essential that you showcase yourself in every social interaction you have. Your personality and interests are what’s going to spark a connection with a potential friend. No one is going to be able to form conversation with someone who doesn’t offer points of entry. These points of entry can differ from person to person. Some people wear their interests on their sleeve — literally. If you’re in a casual office environment, don’t hesitate to wear your favorite band t-shirt. Can you decorate your cubicle? Throw up some of your favorite quotes or decorate with your Harry Potter house flag. Showcasing your interests is key if you’re not one to start the conversation. You never know when a simple conversation can turn into a lunch date or happy hour chat. Finding friends in adulthood is seemingly impossible. When we were kids, all we needed to do was smile at someone in our class and that was the end of it. But adults are more complex. In some cases, you might not make a new friend for ten years, like Emily Fox. Sometimes, we need a little help. And when you do, you can fall back on these tips to help put your best foot forward when it comes to finding a friend.